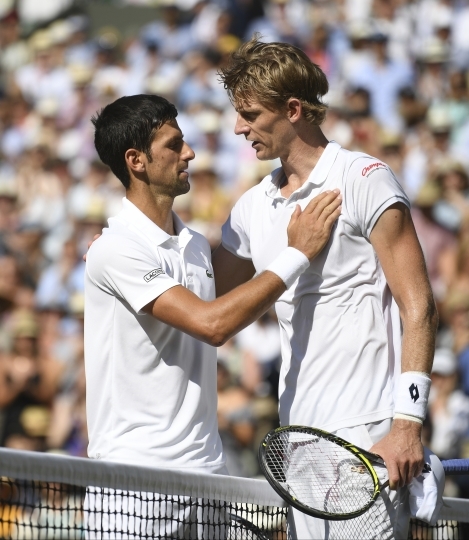 LONDON — After coming through two grueling five-setters to reach the Wimbledon final, Kevin Anderson finally ran out of steam. It wasn't just the South African's body that let him down, though, two days after a 6½-hour semifinal against John Isner that ended 26-24 in the final set. 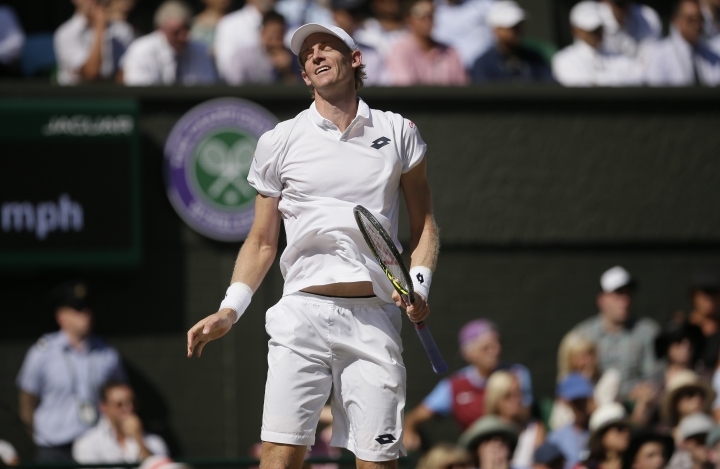 Anderson felt his straight-set loss to Novak Djokovic had more to do with nerves. "Of course, my body didn't feel great," Anderson said. "But I was definitely quite nervous starting out the match. Didn't play great tennis in the beginning." Anderson, whose game is built around his powerful serve, was broken in the opening game and continued making uncharacteristic errors for the first two sets. By the time he was finally feeling comfortable on Centre Court it was too late. Djokovic won 6-2, 6-2, 7-6 (3) after saving five set points in the third set, making sure there was no comeback from Anderson this time. The South African had come from two sets down to beat Roger Federer in the quarterfinals, saving a match point in the third before winning 13-11 in the fifth. That matchup was downright short in comparison to his marathon against Isner, when he was down 2-1 in sets before winning the second-longest match in Wimbledon history. "I barely slept on Friday night," he said. "Waking up today, I actually felt OK, insomuch that, I don't think the match was entirely just because I wasn't feeling the freshest. It was a bit more of being able to play the kind of tennis I needed to at this stage. ... I think all in all, my body actually handled it pretty well." Anderson had looked unshakeable mentally in those two long fifth sets, when he never faltered. But he said nerves hampered him early on against Federer as well, and that it's a part of his game he needs to develop in order to earn a maiden Grand Slam title. Anderson also lost the U.S. Open final last year to Rafael Nadal. "My match with Roger, same thing happened in the first set," he said. "Those are the challenges I'm working on, taking the court against a very small group of guys who you see playing a lot at this sort of level, sometimes it can be intimidating playing them." Djokovic came through his own tough semifinal against Rafael Nadal, another five-setter that didn't finish until Saturday after they played until 11 p.m. on Friday following the Anderson-Isner marathon. But the Serb also said it was his experience in big finals that was the biggest difference between the two, not their physical fitness. "I knew that it was his first Wimbledon finals, and it is a really different sensation when you're in the finals of Wimbledon and any other tournament," Djokovic said. "It was my fifth today, so I tried to use that experience probably, maybe that mental edge that I have, to kind of start off in a right way." In total, Anderson had spent more than 21 hours on court over the past two weeks just to get to the final. His coach, Brad Stine, said he thought the mental doubts were a direct result of his physical fatigue. "I think mentally, at the start of the match he was questioning how much he was going to be able to give," Stine said. "And then I think as the match went on he actually realized, 'I've got a little bit more than I realized.' That he could actually push a little bit. And so, disappointing that he didn't get through the third, to see what was left."